It all began on the road in 1997, and it’s been moving, changing and growing ever since. More than twenty years have passed since that fateful, visionary, call – both a phone call and a spiritual calling. Rabbi Dr. Alon Goshen-Gottstein was asked by a friend: “Where can I take a course on the lives of the Christian saints?” She sought the kind of learning that was not available anywhere. Something to stimulate the mind, as well as the spirit; access to the wisdom of another religion, in an environment that is hospitable to members of other traditions. And, sadly, the answer was: nowhere. There was no institution in Israel where serious academic study of another religion could take place in a spiritually engaged environment. But that almost evident “no” was the beginning of the unfolding of a vision of what might be possible: a vision of an institute that could provide safe bridges to members of all faith traditions seeking wisdom and inspiration from other traditions, without compromising their own religious integrity. This vision captivated Rabbi Dr. Alon Goshen-Gottstein. For him, it filled a desire to serve the world in a meaningful way, to make a genuine contribution. It led him to create what was originally called “The Elijah School for the Study of Wisdom in World Religions,” named after the prophet Elijah. Soon a consortium of thirteen institutions was formed. The founding consortium constituted the Elijah School for the Study of Wisdom in World Religions. Participating institutions were academic institutions that trained seminarians and future religious leaders of Judaism, Christianity and Islam. They represented the various denominations, Catholic and Protestant, Orthodox, Conservative and Reform. Not only was the consortium a breakthrough in interreligious collaboration; it was the only place in Jerusalem where members of different Jewish denominations shared in an open atmosphere. The Elijah consortium launched a series of innovative study programs. The highlight of our activities was the annual summer school, held between 1997-2002 in Jerusalem, as well as 2001-2006 through our partner, McGill University, in Montreal, and after that, at YCT in New York. This program created a community of scholars and students from all religions – Eastern as well as the so-called Abrahamic faiths – Judaism, Christianity and Islam. It provided local students with exposure to religious traditions they did not encounter on the streets and it provided practitioners and teachers of those religions, worldwide, a much desired opportunity to study the religious life of that holy city – Jerusalem. It allowed us in- depth exploration of topics that are fundamental to the religious life – Law, Mystical Prayer, Representation of God in Icons and Images, Leadership, Saints, Sacred Space, and more. More significantly, it provided an opportunity for personal transformation, through encounter with the persons and wisdom of other traditions. The year-round work was as significant, even if less international in character and less expansive as regards religious representation. Our consortium ran cross-seminary courses, which brought together the students and faculties of participating institutions in year-long academic courses. These were complemented by shorter seminars, workshops and lecture series on a broad range of topics. At this stage of its work, Elijah was producing the most sustained and high-level interfaith academic conferences in Jerusalem on a broad range of topics. Elijah had already achieved recognition as a leader in the field of academic interfaith work. Key among our partners was McGill University’s Faculty of Religious Studies. The Faculty and its Dean, Prof. Barry Levy, were interested in developing a program of studies similar in vision to what had started taking shape in Jerusalem. A fruitful partnership quickly emerged, allowing students and faculty to take part in Elijah’s activities, as well as leading to the establishment of the Elijah summer school program as part of McGill’s ongoing programming. The partnership also pointed to the next phase of Elijah’s growth – a unique MA program in interfaith studies, that was to take place in Jerusalem and in Montreal. Elijah was thus poised for the next stage of its growth, through collaboration with McGill University. Other important partnerships were also formed. Elijah’s work was soon recognized by UNESCO. Elijah obtained the status of a UNESCO affiliated academic network. UNESCO recognition was important on more than purely academic grounds, or those of public relations. It was important to signal early on that this enterprise was not owned by one particular religion, but that it was a collaborative venture of all religions, equally owned by all. UNESCO constituted the only international body that could lend its support in a non denominational way. It continues to provide to this day a broad network of affiliated institutions worldwide through which Elijah can disseminate ideas and study materials. Other important partnerships gradually formed during these formative years. A number of important academic centers in the United States and England collaborated with Elijah on specific projects. Such collaborations continue into the present and are an important part of Elijah’s future programming. These institutions include the University of Arkansas, Durham University, Emory University, Boston College, University of Scranton, Sacred Heart University, the Jewish Theological Seminary, Hebrew Union College, Yeshiva Chovevei Torah and more. Elijah built during these years an extensive network of affiliates and advisers, representing the different faiths in international perspective. Scholars of the highest rank have felt compelled by Elijah’s vision and remain in dialogue with its ongoing work. Students from dozens of institutions worldwide took part in Elijah’s activities, thereby making Elijah’s work of seeking understanding between faith traditions known throughout the academic world. Through all this, Elijah achieved international recognition as a leader in the field of academic interfaith education. 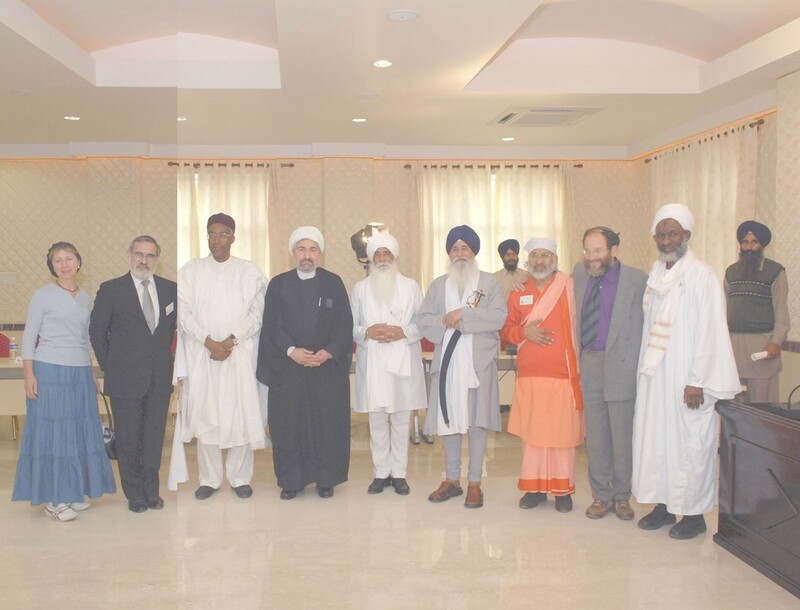 Recognition in the academic field was complemented by recognition among world religious leaders for Elijah’s skills in facilitating, directing and moderating high profile discussions between world religious leaders. During its initial phase of work, Elijah was charged with organizing several high profile events featuring world religious leadership. A Jewish-Muslim summit, featuring ex-President of Indonesia, Abdul Rahman Wahid and Chief Rabbi Eliyahu Bakshi Doron was organized, around the common concerns of Combating Terrorism. Elijah contributed to the program of a visit of world religious leaders to Jerusalem, including His Holiness the Dalai Lama. The pinnacle of its work with religious leaders, at this stage, was the interfaith summit it organized on the occasion of Pope John Paul II’s millennial pilgrimage to Jerusalem. Elijah organized the event, took charge of the artistic and musical program, and moderated it. When politics entered the program, disrupting what was planned as a harmonious show of common prayer for the peace of Jerusalem, it was my charge to bring the event back on track. The impromptu appeal for recalling the purpose of the meeting and bringing it back on track earned Elijah greater recognition among dozens of assembled religious leaders, including the highest ranking Catholic hierarchs, than if the event had proceeded peacefully as planned. By the year 2000, Elijah’s greatest asset was the recognition it had in both academic and religious circles. It was time for revisioning Elijah, or rather, for bringing into reality a component that had been part of Elijah’s original vision, but that had not yet been implemented. After consideration of the local environment – the Intifada of 2000 was having a negative impact on activities in the Holy Land – The Elijah Interfaith Academy was founded. It was conceived as an international effort to create the first-of- its-kind institution, in which scholars and experts from each of the major religious traditions, regardless of where in the world they were physically situated, could work collaboratively on projects. The first project they undertook was “Hostility and Hospitality”, and it started working in preparation for the meeting of world religious leaders in Seville in 2003. As plans for creating the Interfaith Academy were advancing, the question was posed: Who will own the Elijah Interfaith Academy? It seemed that such a unique initiative should not be simply owned by an institution, a university or an organization of goodwill. If the Academy was to have recognition and if it was to serve effectively, it needed to be affiliated with the world’s top religious leadership and owned by them. The suggestion thus arose: Create a Board of World Religious Leaders. Elijah strives to help religions grow, from within, through encounter with the other. Self transformation in wisdom has been the guiding principle, as well as the lived spiritual fruit, of Elijah activities ever since the first summer school program. The early structures aided in transformation and growth within religions through the development of new ideas and insights and the sharing of wisdom at the Interfaith Academy, as well as through the experience and opportunities for learning and encounter provided for the Board of World Religious Leaders. As these organs developed it became increasingly apparent that Elijah was enacting a program of growth and transformation within religions. Spirituality, wisdom, transformation, education for peace – each of these terms captures part of the ongoing work at Elijah. Working at the top – with leaders and scholars, challenged us to think: How far can we implement a program for change within religion? Is it enough to work with the top and to count on the slow and eventual trickle down effect, or should Elijah involve itself actively with the grass-roots level as well? As people who believe in education and in the power of ideas, we do believe that cultivating ideas, publishing them and engaging scholars and leaders are real ways to bring about change. Still, it was felt that an extra step should be taken. This step was the Elijah Educational Network.